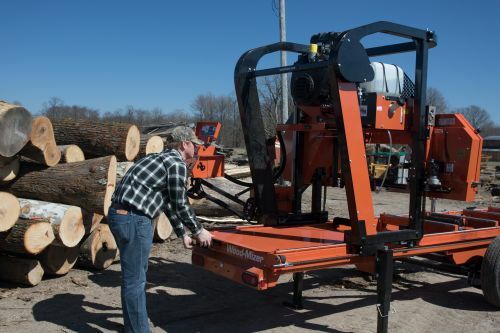 Twin-rail portable sawmill with advanced hydraulic log handling and board return, chain turner, vertical supports, precise outriggers, Accuset® 2 electronic head controls, gas/diesel power, 36” log diameter, 21’ log length, and production up to 700 bf/hr. 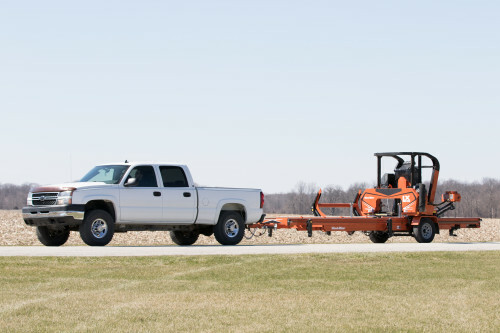 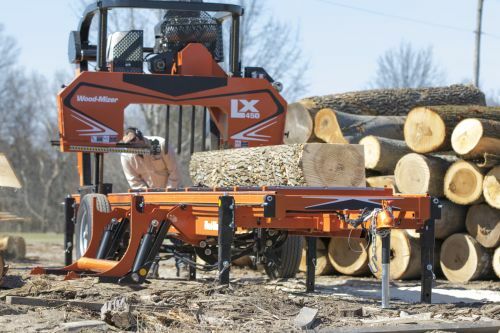 With many of the proven, robust features of Wood-Mizer’s LT40 and LT50 sawmill models, the LX450 is engineered with a rigid LXFrame sawhead tower that travels on parallel hardened steel bars and holds the sturdy sawmill head, 38HP engine, and control panel which is on an adjustable arm for optimal visibility. 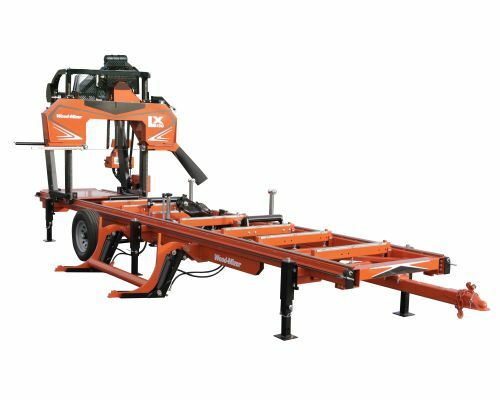 Designed to accommodate those who simply prefer a twin rail design, the LX450 saws wide and deep boards with an impressive 34" width and 16 ½" depth of cut.